This is the place to showcase my book collection of primarily of Nick Carter and Carter Brown books. I started collecting with these two authors back in 1980 while on a fishing trip with my father and grandfather to Northern Minnesota. The first Nick Carter adventure. 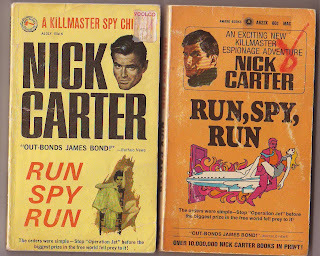 Run, Spy, Run: Written by Micheal Avallone and Valerie Moolman. Published in February 1964. This adventure introduces our hero. 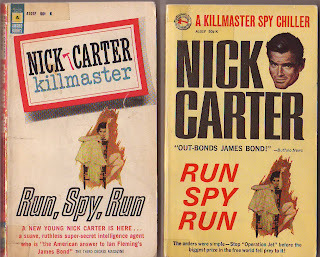 This book also introduces an archenemy and an fellow spy. Mr Judas, the archenemy, will come back time and time again. Julia Baron is a fellow agent within the organization OCI. 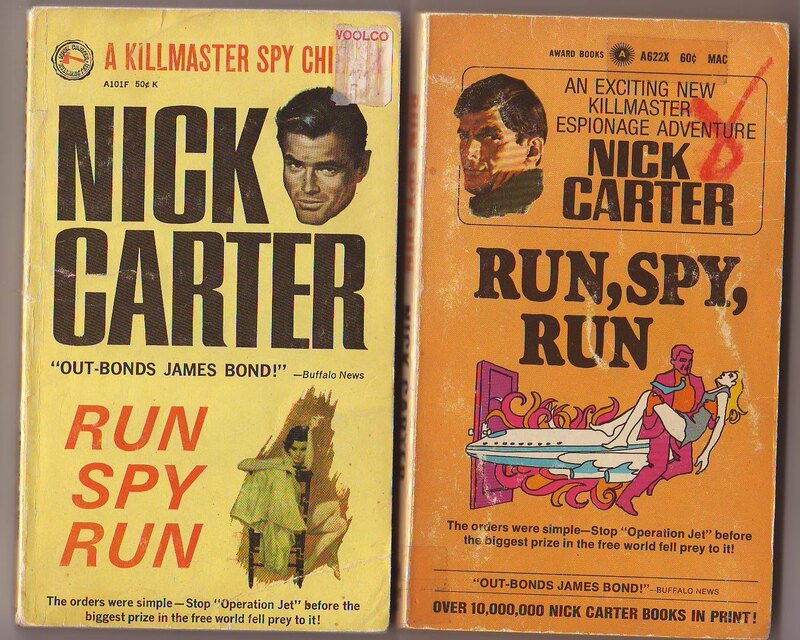 Last one is the United Kingdom Edition, both 1st and 2nd printings were the same. 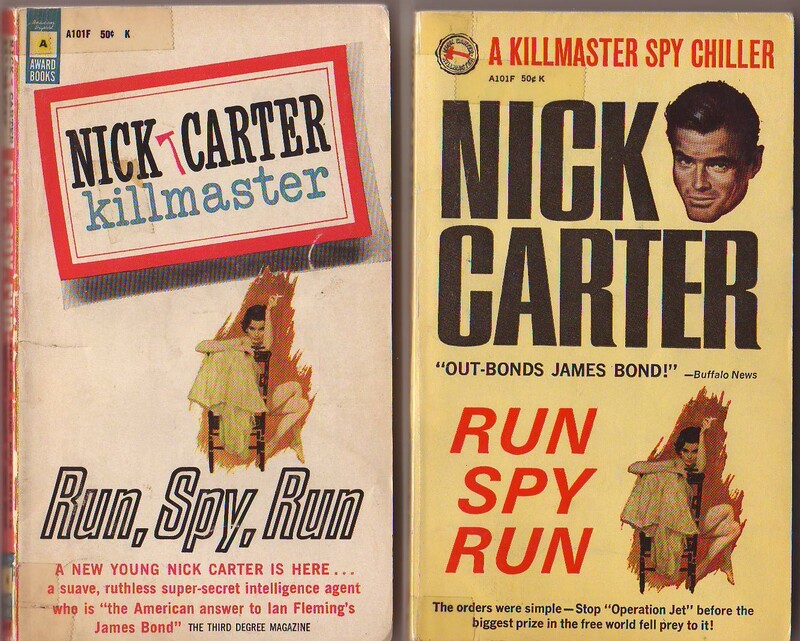 It was common practice to use the same cover art for subsequent printings, as in the cases above. Valerie Moolman may have been the editor on this book and THE CHINA DOLL, but she didn't co-author them with Mike Avallone. They're pretty much all Mike's work. Thanks. I was going on the information from the Armchair Detective and Crime Fiction III.